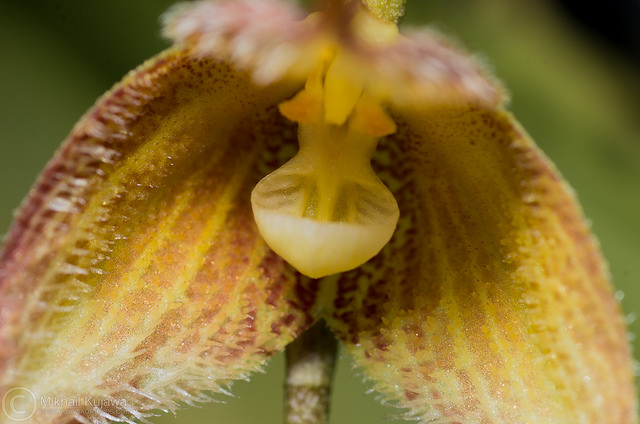 Discussion in 'Orchid Species' started by Mikhail kujawa, Sep 8, 2018. RustyExotics and Kipper like this. 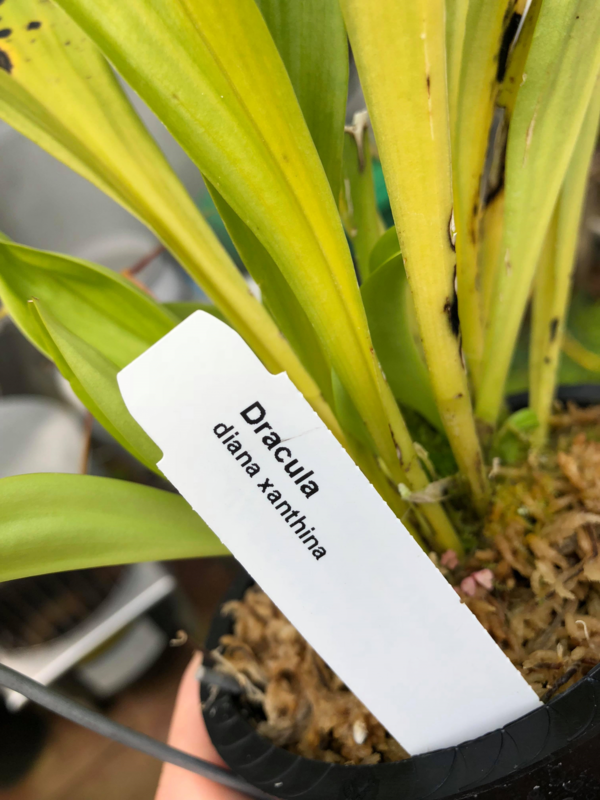 I had not seen this before, so I looked on line and see there are quite a few images labeled Dracula diana xanthina. I have a few thoughts about this. Xanthina means the absence of anthrocyanin (a blue, violet, or red flavonoid pigment found in plants). This certainly has anthrocyanin so xanthina shouldn't be used in the name. Maybe "yellow background" would be more accurate. When I compare it to images of Dracula diana, the shape and stance of the flower don't seem right. Perhaps some others have some thoughts on this. RustyExotics and Mikhail kujawa like this. That is interesting Marni. I got this one from Ecuagenera at Redlands this spring. I wonder if they know something about the name. I don't think you need to ask them about the label. By definition, it is clearly not a xanthina. I am attaching Luer's drawing for Dracula diana. 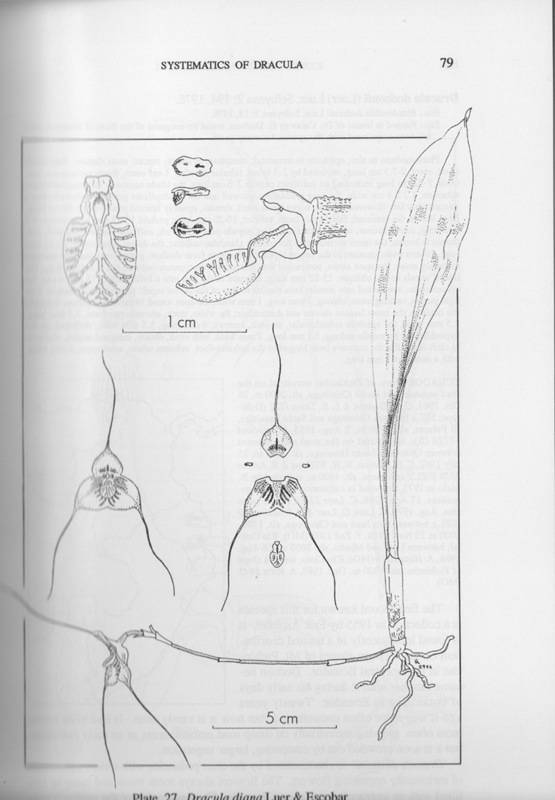 The lateral sepals are not the same shape as the drawing nor the same as ones I have seen over the years. I can't see enough detail from the lip in this image to really tell anything. 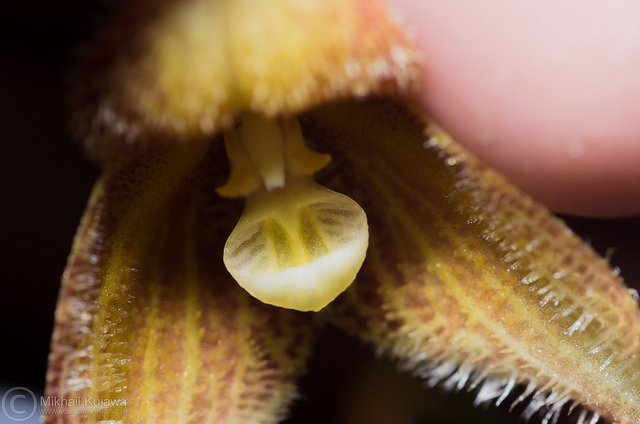 I have also noticed this while looking at Ecuagenera plant photos. I think they use "xanthina" to describe any plant with flowers more yellow than average. For example, on their website they have Dracula andreettae xanthina which also is clearly not a true xanthic. Whatever it is, it's really special! Good job! I will get the macro out and get some nice shots. Here is a link to another "DNA tested" plant from Ecuagenera that was posted over 7 years ago. If you scroll down you will see my post of May 24, 2011 which I add in italics below. 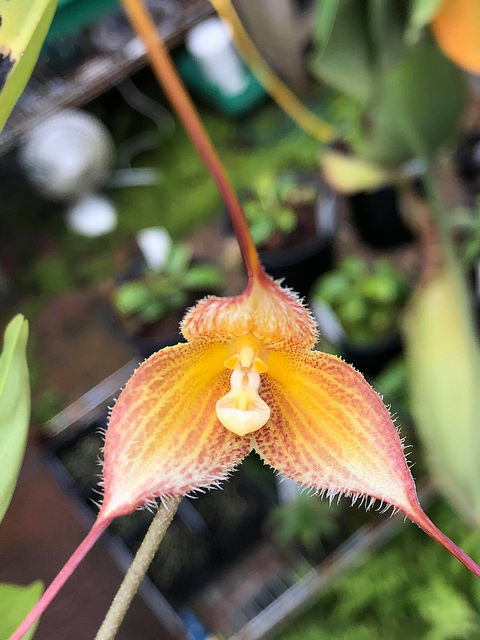 I checked with a friend who is more knowledgeable than I and the sense was NOTHING about the flower (including what can be seen of the lip) looks right for M macrura. Quote: "DNA testing? Keep in mind that we don't exactly have a good idea of what species-level differences are. I submit Drac levii and gigas as an example, where they can't be distinguished genetically. Nobody is suggesting that they are the same species, but we can't tell them apart via PCR analysis." Here are some closer pics, but I'm probably going to have to take the lip off and get some better pics of the lip. Interesting info Marni! Hi Mikhail...I have a “xanthina” diana from the same source. Mine has not bloomed yet, so can’t offer personal experience. Not sure your photo was conclusive as to whether diana or not (perhaps a flattened photo next time). I would say that while not a xanthina, you could call it a xanthic form. Xanthic can be broadly defined as tending towards yellow or more yellow than normal, to include all the way to true xanthina. The definition for xanthina itself is quite narrow as Marni stated earlier. In any case, lovely bloom! Thank you! I agree it's not a true xanthina. I'll take more pics once its flowering again and post them. Looks like many spikes on the way. 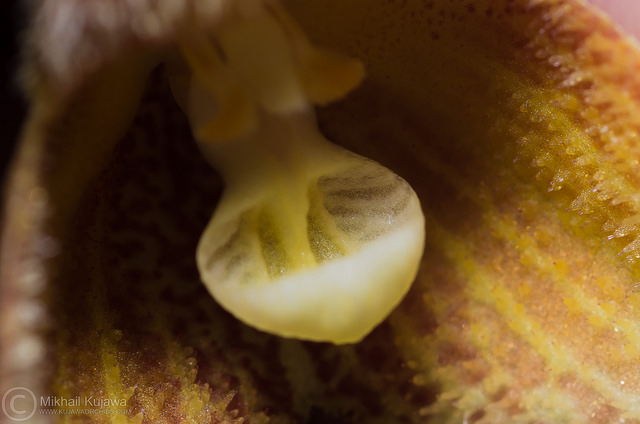 I've heard that many times in the last 38 years of orchid growing and no longer remember exactly where. I do remember it specifically in a study group with Steve Beckendorf, a genetics professor at UC Berkeley at the time. Wikipedia says: Anthocyanins are water-soluble vacuolar pigments that, depending on their pH, may appear red, purple, or blue. If you take out red, purple and blue, aren't you left with yellow and white? I couldn’t remember a definition for it. It’s like the absence caretenoids or flavonoids? Which ever one it isn’t is flava? I started asking around the other day after not finding answers in my old text books. I feel like there might be something about it in some old IPA issues on color studies.